Bianco Antico granite is a natural stone that features an overall white and grey appearance from afar, with traces of burgundy red and brown when looked at closely.They are usually a light bronze color and can be slightly metallic. They are mostly found in individual deposits rather than long winding veins.Scattered throughout the stone are large grey and brown mineral deposits that are easily visible. Bianco Antico granite doesn’t vary too much with lighting conditions, so you can expect it to look the same in any room. If you have light kitchen cabinets the overall effect is very light and bright. The feel of the room will be flowing and elegant. With medium stained cabinets this granite works wonders. There isn’t much of a contrast in colors because of the brown mineral deposits in the stone.This ensures a natural flow and designer feel to the countertops for kitchens and the overall look. With dark cabinets the overall effect is very different. The contrast is very strong between the white granite and the cabinets. However, the cabinets pick up the brown minerals in the stone allowing it to blend with the room. Bianco Antico granite transforms the look of any room and adds a stunning and luxurious element. Because it has a neutral color scheme, this granite can work well with light and dark kitchen décor and with both contemporary and traditional styles. 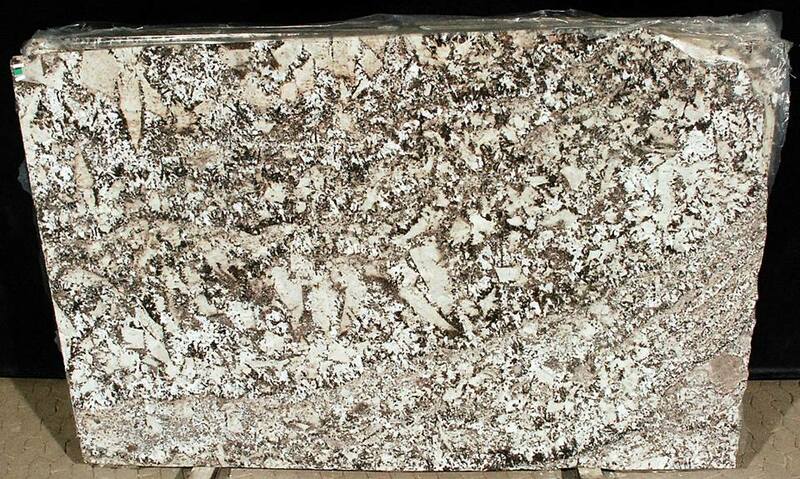 Bianco Antico is in high demand for granite countertops Roswell Ga and metro Atlanta! At $52, our supply is limited so reserve your slab today! !